2017 is the third full year Next Portland has been in operation. Although the onset of Inclusionary Zoning has slowed down the number of new applications submitted, there was a lot to write about in 2017 while the projects submitted in late last year and early this year worked their way through the development review process. Over the course of the year we published 176 new blog posts, and our development map now has over 1,000 unique projects listed (including completed and cancelled projects). In 2017 Next Portland had over 900,000 page views, a slight increase from the previous year. Sixteen of the articles that made the top 25 most viewed posts were published this year; seven were published in 2016; and one was published in 2015. Our second most popular article from the 2015 list and fourth most popular article from the 2016 list—about the Goat Blocks—was still the fifteenth most popular article of 2017 despite having been written in December 2014. The 2016 roundup of the tallest buildings planned in 2016 was the third most popular article of the year, and although there wasn’t an equivalent list published in 2017 we hope to write one in early 2018. 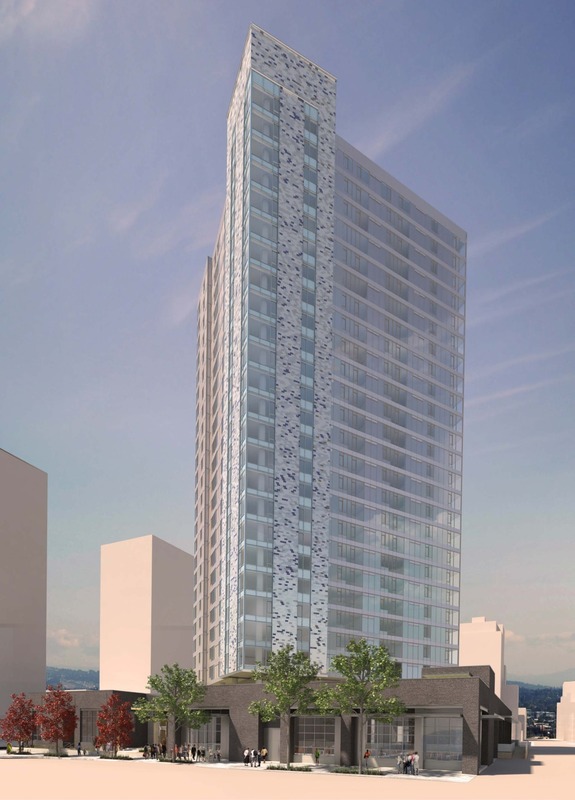 The Oregonian wrote about Eleven West, the 24-story tower with swimming pool planned for downtown Portland’s West End. The Willamette Week wrote about how Mayor Wheeler has “blown past a deadline his own office set for starting to spend a $258 million bond approved by voters last November to build and rehab affordable housing units”. Portland Architecture took a look at the offices of Stoel Rives and Simple, respectively located in Park Avenue West and Clay Creative. An analysis by the Business Tribune showed that the real estate market in Portland is moving towards the construction of office space. The Oregonian took a look at Oregon’s development spree, which include “21 cranes, 15 hotels [and] 10,000 jobs”. Construction has topped on the Pearl District’s Canopy Hotel. The DJC published photos of the progress to date. Portland Architecture interviewed Brian Cavanaugh of Architecture Building Culture. Next Portland came in third place for “Best Local Blog” in the annual Willamette Week “Best of Portland” Readers’ Poll. Thank you to everyone who voted for us. 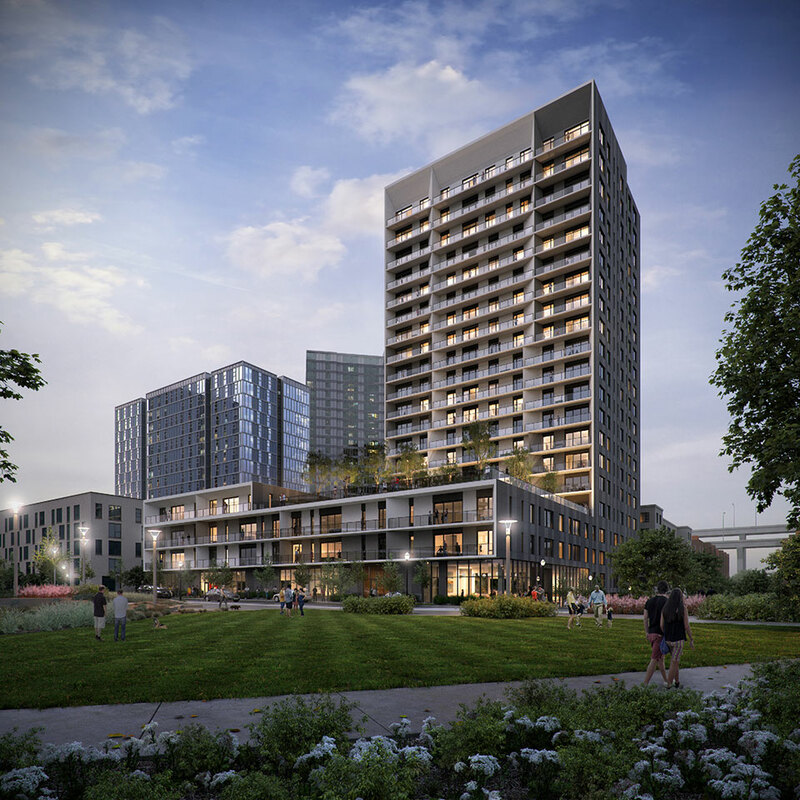 The DJC reported that after a second City Council hearing the Ankeny Apartments are still in limbo despite mediation and revised plans*. Eater Portland took a look at Schilling Cider, who have opened the world’s largest cider taproom in the Goat Blocks. Citylab wrote about how Oregon HB 2007 could strip Portland of its NIMBY powers. The Oregonian reported on a revised financing deal for the Providence Park Expansion, which includes a larger tax break for the Timbers in the near term, in exchange for more money for the City from 2025 on. Eugene-based grocery store Market of Choice opened last week in the Goat Blocks. The Portland Business Journal published photos of the new grocery store and the adjacent Orchard Supply Hardware. Schilling Cider, which plans the “world’s largest cider taproom” has set an opening date of June 16th. Eater PDX took a look at Alto Bajo, the modern Mexican restaurant opening tomorrow in the Hi-Lo Hotel. Residents of Multnomah Village are challenging Portland’s recently passed Comprehensive Plan, writes the Portland Tribune. The DJC wrote about how the project team behind the PSU Karl Miller Center is zeroing in on a LEED platinum rating*. The Portland Tribune wrote about the current state of the construction market in Portland, with hotel development being particularly strong. Interior of the Custom Blocks development, by developer Capstone Partners and architect Scott Edwards Architecture. Eater PDX reported that chef David Machado will open Tanner Creek Tavern this summer in the Pearl District Hampton Inn & Suites. The Business Tribune looked at the transformation of the Goat Blocks. 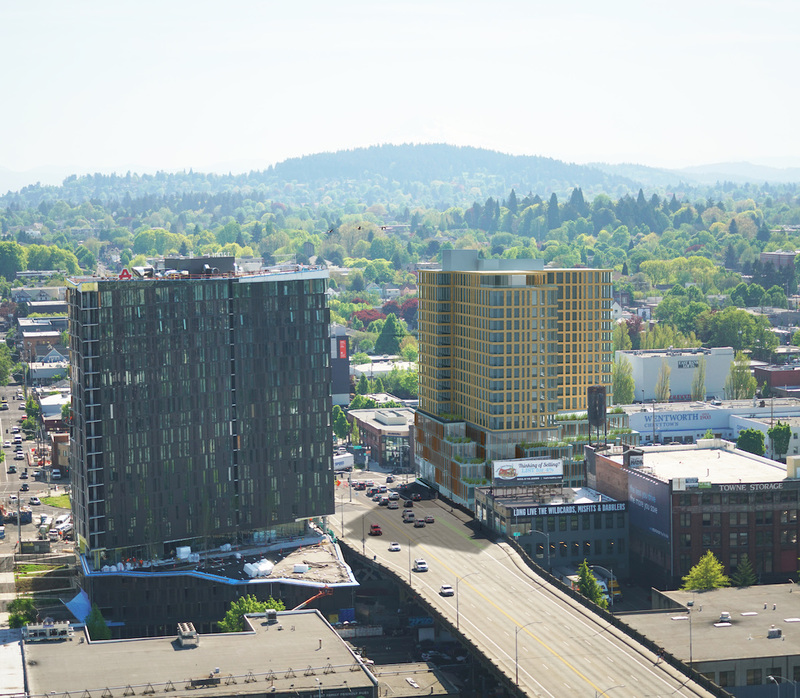 Places over Time studied the past, present and future of the Lloyd District, which is being transformed by developments such as Oregon Square, 1400 NE Multnomah, 1510 NE Multnomah and Block 45. The Custom Blocks at 1340 SE 9th Ave and 925 SE Main St are the latest industrial buildings in the Central Eastside to be converted to creative office use. The Business Tribune looked at how the buildings are evolving. The Portland Business Journal reported that the Garlington Center affordable housing / health care development has been awarded $4.5M in tax credits. Oregon Business reported that Portland is getting ready to issue $9 million of bonds to fund future affordable housing projects, backed by revenues from short term rentals such as airbnb. 2016 is the second full year Next Portland has been in operation. With development showing no signs of slowing down it’s been a busy year. We published 234 new blog posts, and our development map now has almost 800 unique projects listed (including completed and cancelled projects). Over the course of the year the site had almost 900,000 page views; up 84% over 2015. 6 of the articles that made the top 25 viewed posts were published in 2015; 2 were published in 2014. Our second most popular article from the 2015 list, about the Goat Blocks, was still the fourth most popular article of 2016 despite having been written in December 2014. Our most popular post of 2015, about the 25 tallest buildings planned in the city, remained in the list at third place, and was just beaten out in popularity by the updated 2016 list. 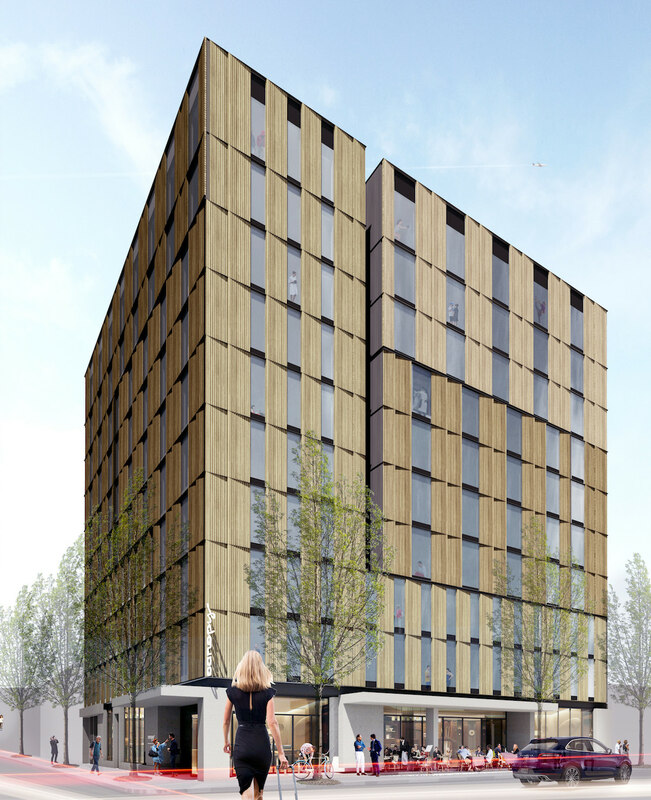 Two pioneering Cross Laminated Timber buildings, Carbon12 and Framework, took up three places on the list. The Business Tribune reported on Portland’s latest trend: retail alleys. Recently completed or planned projects mentioned include the Goat Blocks, the Lloyd Cinemas Redevelopment, 38 Davis and Milwaukie Way. 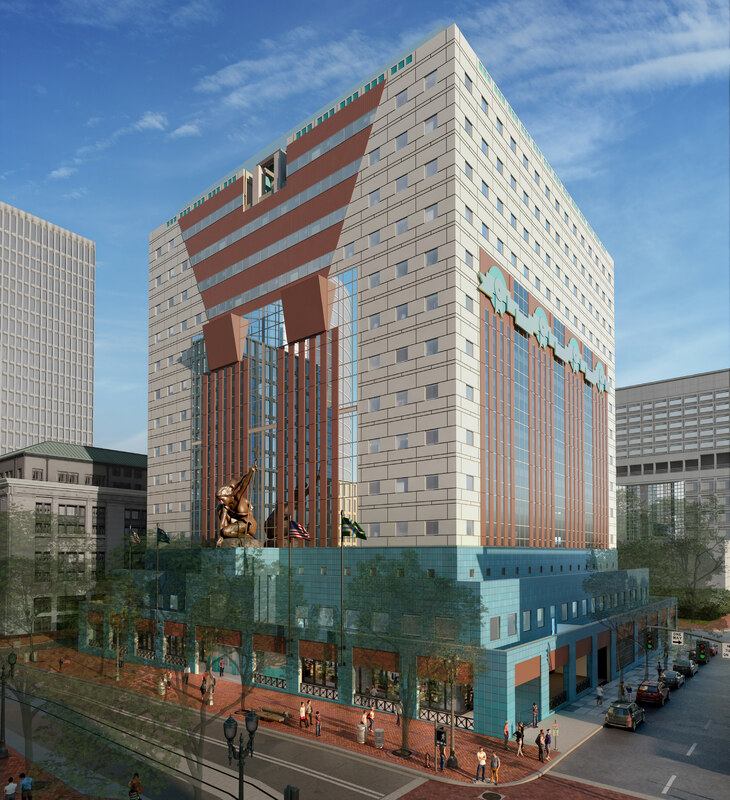 The Portland Business Journal had a first look at the downtown’s AC by Marriott Hotel, which is nearing completion. The DJC reported that the City Council voted to overturn* a condition of approval imposed on NW 14th & Raleigh by the Design Commission. Excavation for the Broadway Tower has hit the bottom, according to the Portland Business Journal. The 19 story tower should be complete by September 2018. 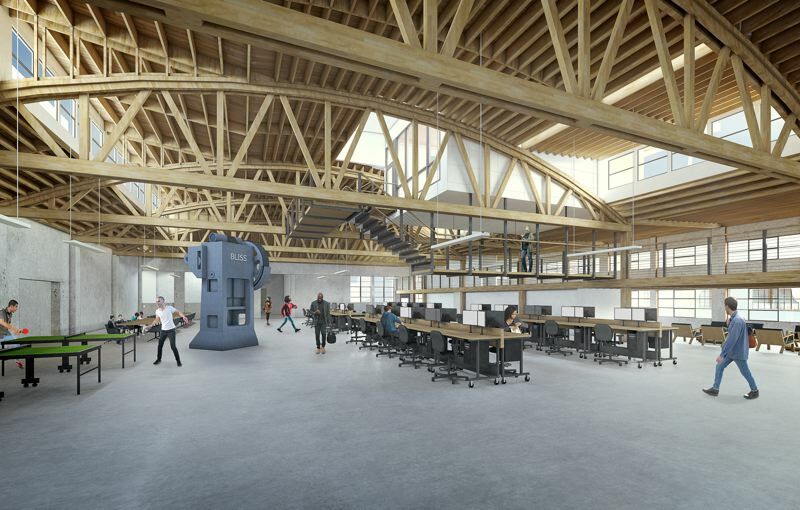 Oregon Business took a look at 38 Davis, the Old Town mixed use building that now houses the new headquarters for its designers, Ankrom Moisan Architects. The Business Tribune reported that Colas Construction has broken ground on Alberta Commons, the Natural Grocers-anchored retail development at NE MLK & Alberta. Developers are racing to beat Portland’s Inclusionary Zoning policy, reports The Oregonian. The policy is scheduled to take effect in February, however projects that have been submitted for building permit or design review before then would be grandfathered in under the current rules. Jazz Mecca Jimmy Mak’s will close forever, according to the Willamette Week. The bar was scheduled to move to make way for the Modera Davis, however owner Jim Makarounis’ battle with cancer has forced him to cancel the build out of a new space. Two new retail tenants have been confirmed for the Goat Blocks: Russian restaurant Kachka, which will open a second location; and Seattle’s Schilling Cider, which will have “more cider taps than any cider house in the United States”. 2015 is the first full calendar year Next Portland has been in operation, and it’s been a year of huge growth for the site. As the year draws to a close it seemed like a good time to look at what the most popular posts of the year were. If there’s an overall trend evident it’s that posts about tall or large buildings do well. The single most popular post was the round up of the 25 tallest buildings planned or under construction. Posts about high rise buildings under construction—including Block 136, The Cosmopolitan, The NV (formerly The Overton), and Yard (formerly Block 67)—feature prominently in the list. 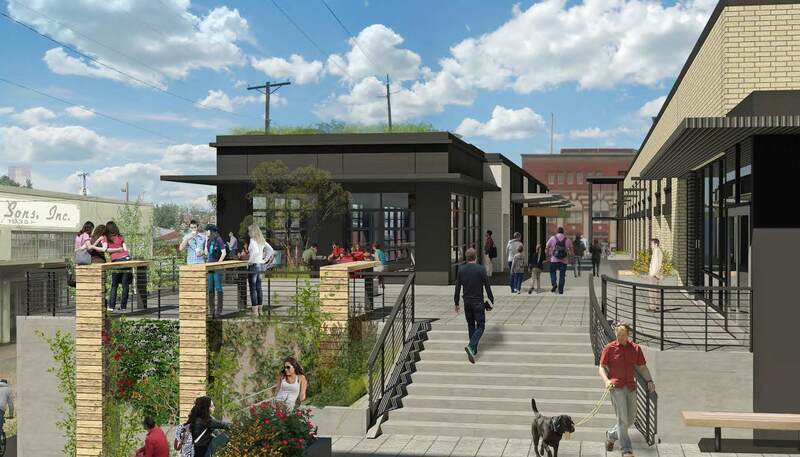 The giant development at Oregon Square makes the list three times, and the redevelopment of the USPS site in the Pearl is included three times. 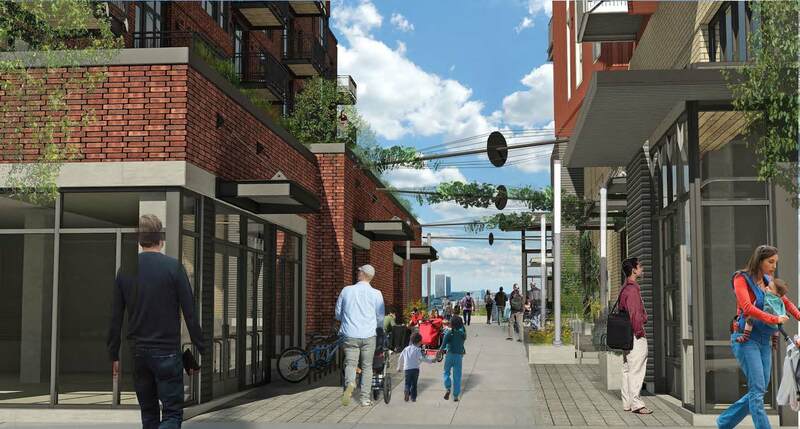 The most popular post about a single project covered LOCA @ The Goat Blocks, a superblock development currently under construction in inner Buckman. Other posts to make the top 25 were more surprising. The list includes the Worldmark by Wyndham and The Society Hotel, both relatively small hotel projects in Old Town. The initial post about 3rd & Taylor likely performed so well not because of the scale of the project, but because Next Portland was the first place to write about the potential demolition of the Hotel Albion. 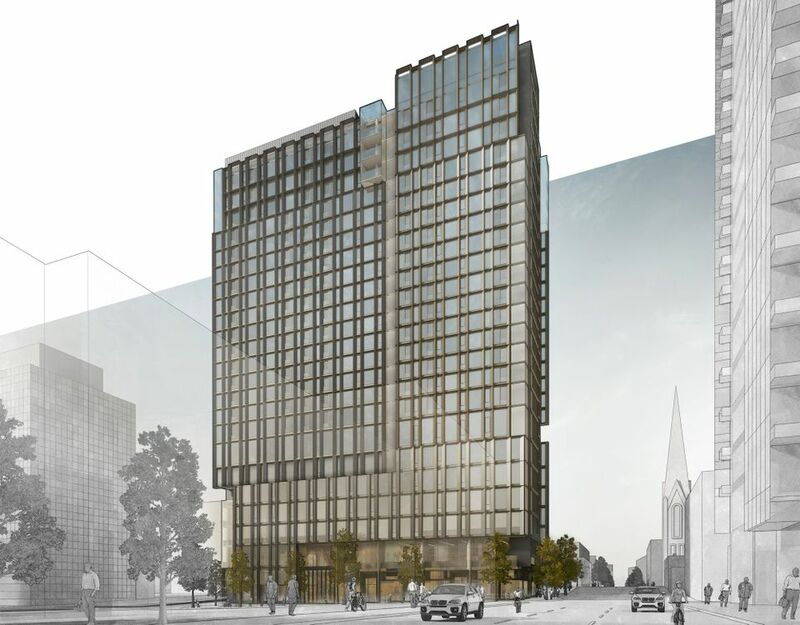 At only 8 stories Carbon12 wouldn’t come close to making the list of the tallest buildings planned for Portland, but is notable for the fact that the high rise structure will be built out of wood.